Time flies when you are reading adventurously, and we really are in the fourth month of our travels already. But where to go when you've already been to Germany, India and Iraq? Why to Wales, of course! Our May title is a pocket-sized Welsh wonder: The Life of Rebecca Jones by Angharad Price, translated from the Welsh by Lloyd Jones. Rebecca is born into a rural community in the Maesglasau valley in Wales; her family have been working the land for a thousand years, but the changes brought about by modernity threaten the survival of her language, and her family's way of life. A powerful meditation on ancient communities, rural life and vanishing worlds in miniature, The Life of Rebecca Jones will enchant and move all who come across its quiet path. Once you have read The Life of Rebecca Jones, why not ponder these questions . . .
1. It is rare to come across a novel originally written in Welsh. Were you conscious of this being a translation when you read it? If so, why? 2. Don’t look now if you have not yet come to the end of your reading of the book. Did you anticipate the short three-line postscript? What was your reaction, and why? Why do you think the author may have chosen this narrative device for what is after all a memoir based on her family? 3. Did you read the novel as a celebration of life, or as a tale of hardship? Why? 4. Rebecca’s blind brothers were able to lead rich and fulfilling lives. Did they have to leave the farm and the valley to do so? What life would you have imagined for Rebecca, as a woman, had she been blind? 5. The English translation of the original Welsh title of the book is “O! pull aside the veil” – what do you think this might refer to? 6. The Life of Rebecca Jones uses a blend of different tones and styles. On the one hand it is a realist depiction of the life of one family over the course of a century; on the other it is a highly poetic work of literature. Look again at the sections in italics. How do you think they differ from the rest of the novel? 7. Are there other books that remind you of The Life of Rebecca Jones, either in terms of content or style? Were they written in this century, the last century, or even earlier? 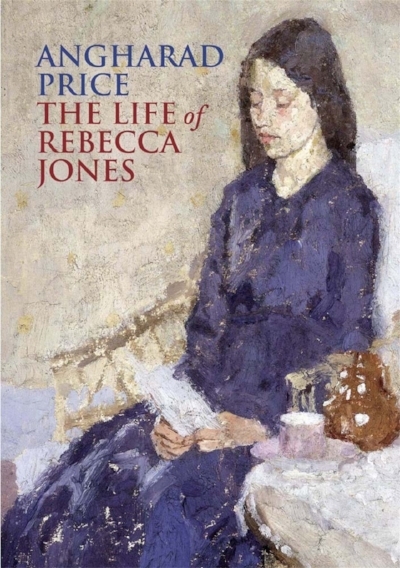 Feeling bereft after finishing The Life of Rebecca Jones? Hopefully some of these suggestions can fill the void. Ingrid Barrøy is born on an island that bears her name – a holdfast for a single family, their livestock, their crops, their hopes and dreams. Shortlisted for the Man Booker International Prize in 2017, The Unseen is an epic – on a small scale – about a vanished time, the first in a trilogy by one of Norway’s leading writers. Angharad Price’s book brings to mind this earlier classic of rural literature, a fictional account published almost fifty years ago which drew upon oral histories given by those who had lived in a Suffolk village for much or all of their lives. By revisiting this book, we can see how much rural life has changed – and what has remained the same. A captivating novel about life (and death) in rural Sardinia in the 1950s. Poetic, beautifully crafted and very moving, it too reflects a time in which family ties and obligations still decide much of life's ebb and flow. When Maria, the fourth child of a widow, is adopted by the old and childless Bonaria Urrai, her life is instantly transformed – she finally has the love and affection she craves. But her new “soul mother” is keeping something hidden, a role for her that is intimately bound up with Sardinia's ancient traditions and customs. From Wales to the Lake District, and into the 21st century. Rebanks’ roots are on his family sheep farm, passed down through generations. An unsentimental and yet beautiful account of the rhythm of hard-working lives governed by the seasons, written in language that is captivating and evocative. The countryside of Lorraine, in North-East France, brought to vivid, sensuous life through smells. From the sizzling sharpness of freshly cut garlic to the cool tang of a father's aftershave, this is an unusual olfactory memoir of a rural childhood by the filmmaker and prizewinning author of Brodeck’s Report and Grey Souls. Claudel demonstrates again his impeccable grasp of the personal and the universal. The city of Lviv, now in Ukraine, changed hands many times over the course of its turbulent century. Life there could scarcely have been more different to that described in The Life of Rebecca Jones. This debut novel by Poland’s brightest rising star tells the story of four generations of women over the course a century, all living under the same roof in an ever-shifting city.